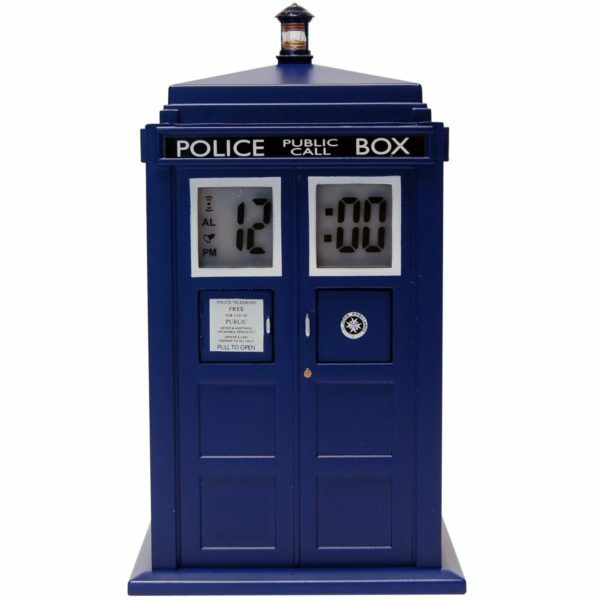 Tardis Projection Clock with alarm projects the time and Dr Who Logo onto a wall/ceiling. The front LCD clock illuminates blue. When the alarm goes off the lantern light glows blue.